In an earlier post Jeep Hardtop Headliner All Brands Compared I looked at all the available Jeep hardtop insulation kits also known as headliners. 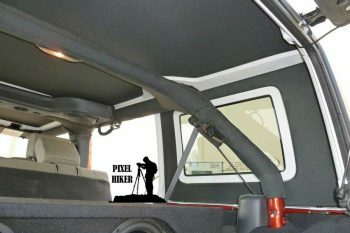 As I researched the various headliner options two brands stood out as best suited for my needs and Jeep. Those two brands were Boom Mat and Hotheads. Initially my decision appeared to be a difficult choice, both options were well reviewed, they cost about the same both offered thermal insulation, cabin sound control and noise reduction properties. Then is hit me and my selection became obvious, the Hothead Headliner with Sound Assassin. The Boom Mat was primarily designed for it’s sonic qualities and Jeep cabin temperature control was secondary. On the flipside the Hotheads Headliner was designed with thermal insulation properties first and foremost and that is most important to me while the sound properties and noise reduction are secondary importance to me. That said I did order the sound assassin strips for my Wrangler. The $480 Hothead Headliner Insulation kit is available with side window insulation as well as “Sound Assassin”. I couldn’t find any information on Sound Assassin but Hotheads state they have used it in place of HushMat. HushMat is a vibration and sound deadening and insulating material. One can assume “Sound Assassin” is the same. The Sound Assassin is available for $35 and can be used in any jeep regardless of the hardtop and whether or not it’s being insulated. The Hothead Hardtop Liner seems to be reviewed the best on the Jeep forums and is a runner up for my Jeep. These are the only Jeep Wrangler headliners on the market that are made to look & feel like a factory product. 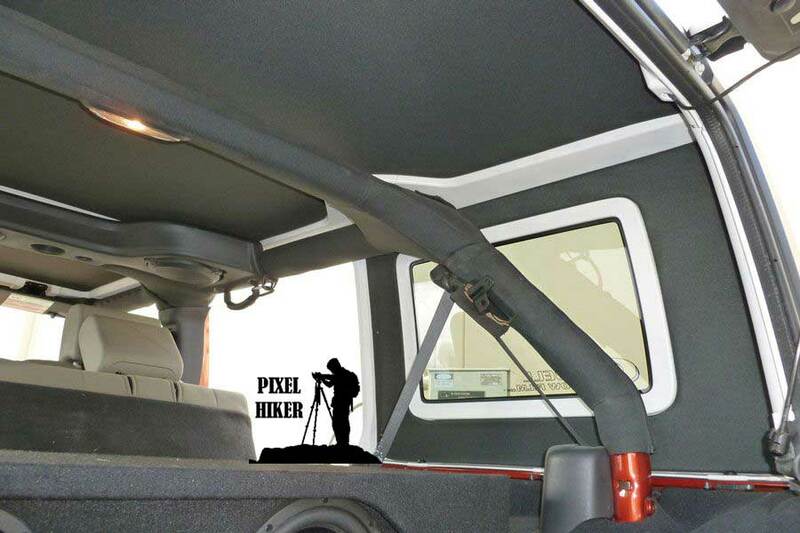 Our premium headliners are made using only quality materials: 1/8″ panel board, 1/4″ cross-linked polyethylene insulating foam (very dense), 3/16″ foamed back automotive headliner fabric, radiant barrier, and attached with 3M VHB Tape (the rear side window panels are attach with Velcro and are just the panels board wrapped with headliner fabric, so they are a little thinner). TJ & LJ headliner kits also attach with Velcro. Each headliner kit is made to order by an experienced upholsterer who takes pride in each & every job that comes out of our shop, and you will see that reflected in the quality of your new HotHead Headliner. Visit Hothead Headliners or Order From Amazon and don’t forget the Rear Window Insulation. Stops the heat that radiates down from your hard-top which allows your air conditioner to easily keep up with any outside temperature. LOOKS LIKE A FACTORY PRODUCT!